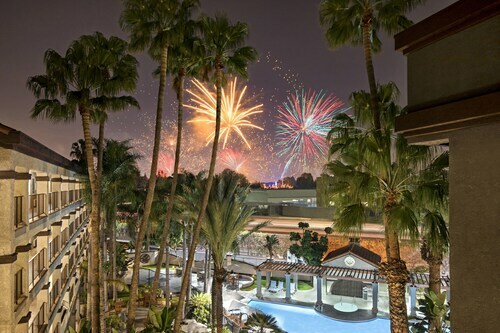 Located in Anaheim Resort, this hotel is within a 15-minute walk of Anaheim GardenWalk, Disney California Adventure® Park, and Disneyland®. Downtown Disney® District and Anaheim Convention Center are also within 1 mi (2 km). 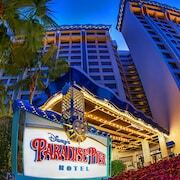 This hotel is 1 block from the Anaheim Convention Center and less than 2 blocks from Disneyland® Resort. 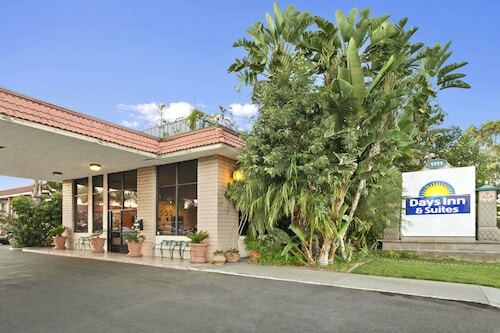 This Anaheim motel is across the street from Disneyland® Resort and a mile from its entrance. The Anaheim Convention Center is within a mile. 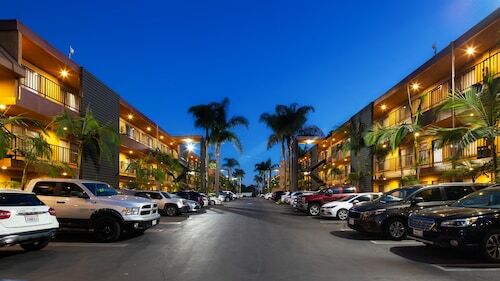 This Anaheim hotel is situated across the street from Disneyland® Resort, 1 block from Downtown Disney and Anaheim GardenWalk, and 2 blocks from Anaheim Convention Center. Knott's Berry Farm is 8 miles away. 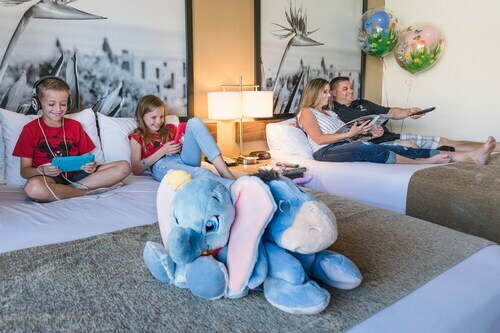 Located within a half-mile of Disneyland® Resort and Downtown Disney District, this stylish hotel is less than 2 miles from the Anaheim Convention Center and the Anaheim GardenWalk. This family-friendly Anaheim vacation home is within 2 mi (3 km) of Anaheim Central Library and Downtown Disney® District. Disney California Adventure® Park and Disneyland® are also within 3 mi (5 km). 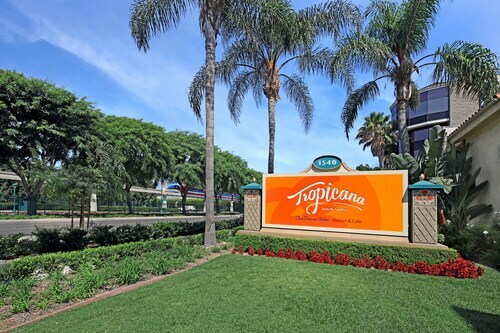 Located at the pedestrian walkway to the themed parks, this family-friendly motel is across the street from Disneyland® Park and 2 blocks from the Anaheim Convention Center. 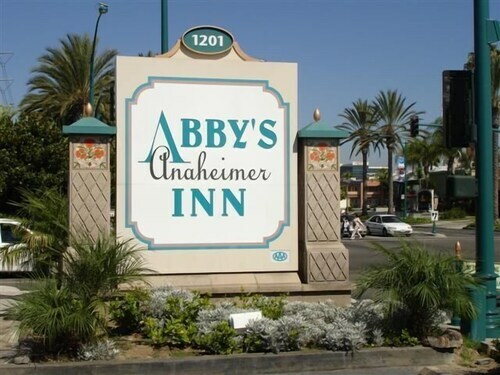 Centrally located in Anaheim, this motel is 1 mile from Anaheim Convention Center and 1.5 miles from Disneyland®. Crystal Cathedral is 2 miles away, while Angel Stadium is 2.5 miles from the motel. 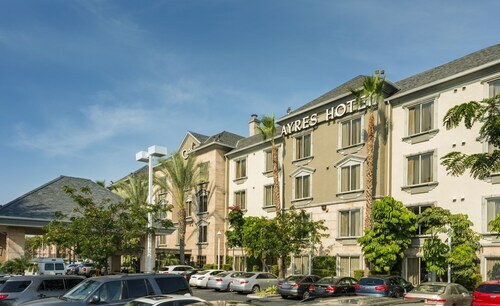 Situated in Anaheim, this hotel is within 2 mi (3 km) of Disneyland® Park, Downtown Disney® District, and Anaheim Convention Center. Disney California Adventure® Park and Disneyland® are also within 2 mi (3 km). 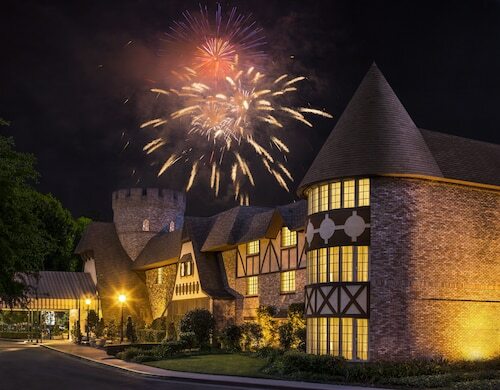 This Orange County hotel is within a mile of Disneyland® Park and Disney's California Adventure® Park. Angel Stadium is 2 miles away. 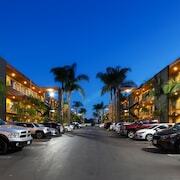 This European-style boutique hotel is across the street from Anaheim's Honda Center and a block from Angel Stadium, a mile from The Block at Orange mall, and 2.6 miles from Disneyland® Resort. Are you looking for a break from the hustle and bustle of your day-to-day life? Do you want to escape reality and forget about your never ending to-do list? 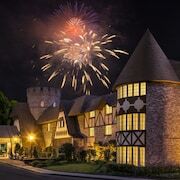 Then why not treat yourself to a relaxing stay at one of the spa hotels in Anaheim? Whether it is for a weekend getaway or a staycation, book your visit to one of the Anaheim luxury spa hotels. 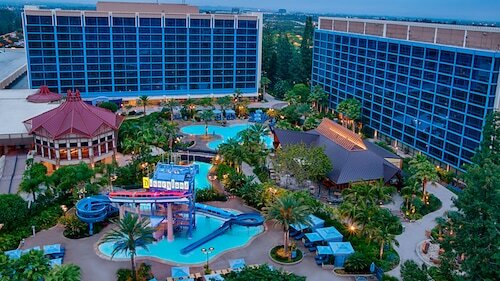 With all of the amazing things to do around Anaheim, you will likely be worn out from sightseeing. 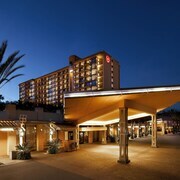 The Anaheim spa hotels provide top of the line facilities with hot-tubs, saunas and private treatment rooms. Treat yourself to an indulgent hot stone massage or facial to rejuvenate from a busy day. If that's not enough for you, indulge in a full day-at-the-spa package. And maybe you are just looking to reach maximum relaxation before a fancy night out on the town. Take advantage of the salon features offered at most Anaheim spa hotels and get a mani-pedi before your evening begins. 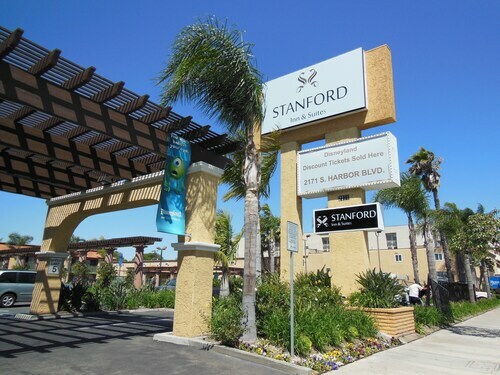 Travelocity wants to help you relax and rejuvenate during your next stay in Anaheim, but we know that spa treatments can put some strain on your wallet. Bundle your hotel and flight together and save enough to pay for your facial! I enjoyed the Ayres. Friendly and helpfull staff, the bed was comfortable and my room was clean. I also liked the convenient location, right by the transportation center and within close distance to the local venues and resturaunts. The property was clean and the rooms were modern. The beds were comfortable and everything was nicely updated. For the price, this place is a great deal! Really friendly customer service and helpfull. Thank you. 1 week ago by A verified traveler from Seattle, Wa. The property was great. Interior staff great. Pool staff terrible!! Great location to Disneyland. Approximate 10 min walk to Disneyland, but also offers a free shuttle. Free parking and breakfast included. The staff were friendly and professional. Overall a great value for the money.